When your moving to puerto rico to purchase or sell a home or condo in the Greater Puerto Rico Luxury Real Estate market, you should work with a Greater Real Estate specialist who is professional, honest and has your best interest in mind. They must understand the communities they service and perhaps more importantly – they must be a full service Real Estate representative with a proven record of accomplishment in pr. 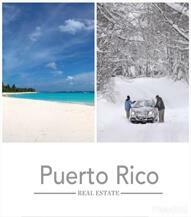 Puerto RIco Rea Estate are just that kind of Real Estate specialists in pr. They have been relocating numerous Act 20 22 puerto rico satisfied clients throughout Greater Puerto Rico Luxury Real Estate market for many years and his experience is considerable. At Puerto Rico Real Estate, they strive for perfection and spend many hours daily learning their product – Luxury homes in Puerto Rico. If you're looking for a Real Estate expert in San Juan Puerto Rico who can guide you as you buy, sell or rent a Luxury Homes in Puerto Rico, you've come to the right place. We can give you insider advice and help you moving to Puerto Rico and settle down to make the most of the distinguished Greatest San Juan Puerto Rico lifestyle. San Juan Puerto Rico is a vibrant city where old meets new and where a modern, cosmopolitan lifestyle is deeply interwoven with the colorful strands of Caribbean Old World charm. The specialists at Puerto Rico Real Estate understand the communities and neighborhoods throughout their service area in Puerto Rico including Condado, Miramar, Guaynabo, San Juan, Dorado Beach, Carolina, Palmas del Mar and Isla Verde among others. They are knowledgeable about homes in Puerto Rico, property values, houses in puerto rico and local amenities; they possess a local awareness that buyers and sellers will require as they search for the perfect house 4 sale or endeavor to sell their family home. Puerto Rico Real Estate insists on professional precision from his Real Estate specialists, they have an attention to detail and considerate manner their clients appreciate. Even more important, they will successfully complete your real estate transaction, stress-free. Whether you are buying an executive retreat in Condado or selling your beachfront villa in Dorado Beach, Puerto Rico Real Estate experts have a unique understanding of your local market and are prepared to assist you with your Real Estate transaction. You can trust their professional standards while relying heavily on their experience to get your real estate agreement completed promptly and for the Greatest value. Puerto Rico Real Estate utilizes many state of the art tools to aid you with your real estate venture. If you are searching for a house 4 sale you can rely on their "New Listing Notifier" to alert you about all new listings that fit your needs. When you wish to sell your property in Puerto Rico, our specialist will provide you with a professional home evaluation that accurately reflects your properties current value. Puerto Rico Real Estate have an exceptional database of the Houses in Puerto Rico and our specialists team in San Juan Puerto Rico Real Estate can help you sell your home wherever you are located. Buyers will appreciate their extensive catalogue of Luxury Homes in Puerto Rico listings available throughout the Real Estate in Puerto Rico, whether you wish to rent an inland vacation home or purchase a Luxury condominium with an ocean view. If you are considering San Juan Puerto Rico Real Estate properties as an investment with Real Estate in ct 20 22 Puerto Rico, the skilled expertise available at Puerto Rico Real Estate will confidently assist you with the tax consultant Act 20 22 puerto rico and with the entire Real Estate investing process. When you are entering in Puerto Rico Real Estate market, it can be an anxious time for you and your family. Puerto RIco Real Estate understands this and encourages you to call them first when you decide to buy or sell a beach front home in the Greater Puerto Rico Real Estate market! We have spent many years helping countless clients buy, sell, rent and move over the law 22 puerto rico into all kinds of San Juan Puerto Rico condos and houses beach front or with ocean views and we look forward to helping you make your very own dreams come true. As a skilled negotiator with experience in a variety of business situations, we have the experience necessary to help buyers and sellers reach the best deal possible for both parties. No matter your needs or your budget, I am fully committed to guiding you to ensure the success of your Greatest Real Estate in Puerto Rico venture. "Sarmiento Realty help us to make our dream come true. We had many question about the mortgage process, but he answered all our dude. He was always ... more "
"Esteban was extremely proactive. I was visiting PR and had a short timeframe. He was able to get showings in a very short window even some that were ... more "